On the first episode of March, we ended up doing something special. We welcomed back two older reviewers with some incredibly overly advertised beers. 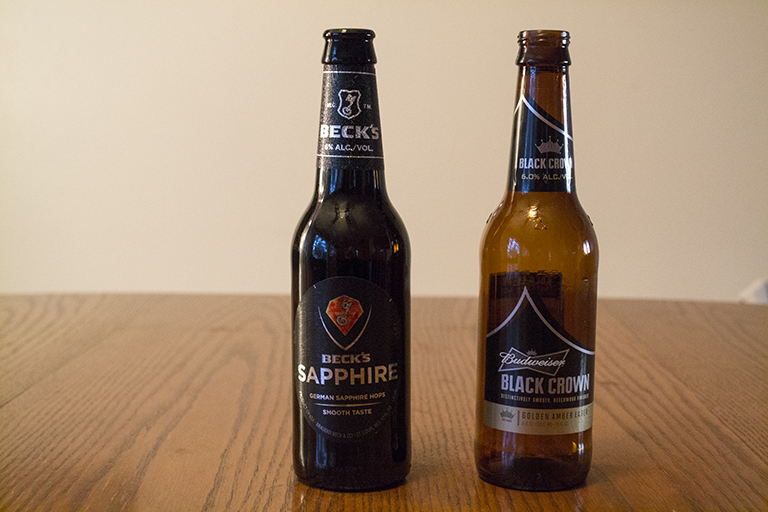 On this show we review Beck’s Sapphire and Budweiser Black Crown. Posted in Blind Taste Testing (2011 - 2013) and tagged #TasteIs, AB-InBev, Beck's, Beck's Sapphire, Budweiser, Budweiser Black Crown, drinking games.